Type: 14 tube, AC powered, superheterodyne receiver. Frequency range: Broadcast and Shortwave. 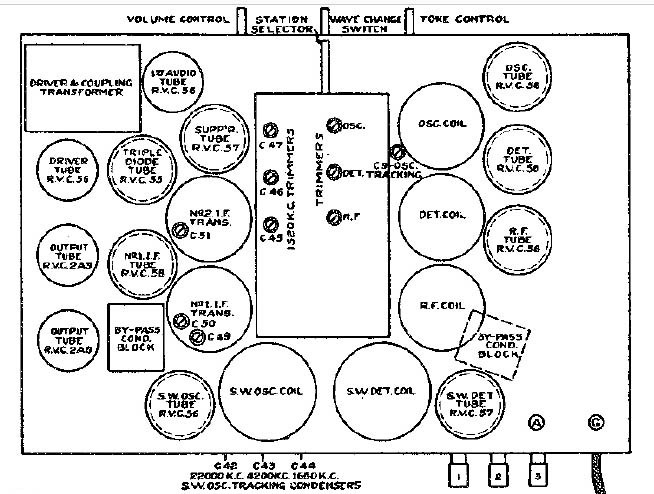 The frequency ranges not provided in the Marconi Service manual..
Speaker size: 8 and 12 inches (uses both speaker sizes).